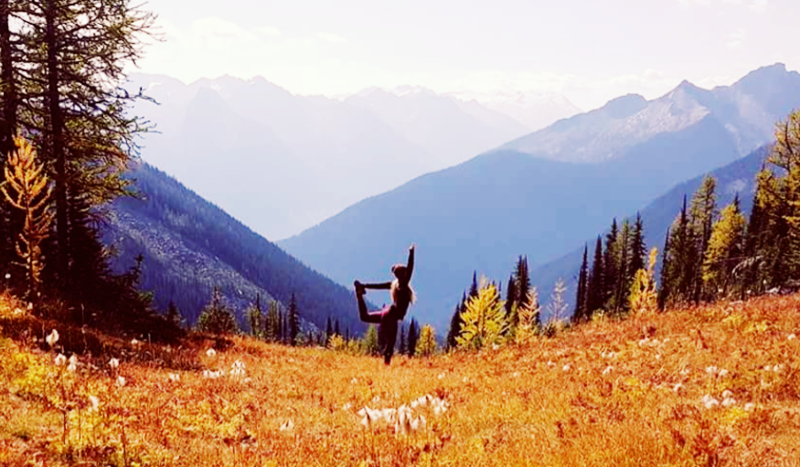 Elevate your mind, body and soul with our Yoga in the Mountains programs. These mountains will hold you during your stay allowing you a deep grounded feeling. The alpine breezes carry with them the scent of the wildflowers. As you sink into meditation, warm morning sun warms your face as the sounds of birds and marmots tickle your ears. This is what it feels like at Yoga in the Mountains. You will enjoy the soft caresses of nature as you release into this mountain paradise. Here you may find new connections with like minded women sharing their stories and wisdom. The yoga practices range from Yin flow to energising gigong. There is deep expansive kundalini practice to melting restorative sessions. Experience art therapy or acro-yoga play combined with an informative nourishing food workshop with our nutritionist. I Follow the 1890s horse mining trail up the mountain from the historic town of Sandon, B.C. I wind my way up the valley, passing lush avalanche paths and into the scrubby forest until I pop out a hour later into the alpine. A path a has been cut through the moraine and boulders to crest at Carpenter pass. I gaze into the Carlyle basin in awe of what sights lay before me. A gentle descent rolls down into the basin. Rich stream filled meadows are filled with wildflowers of all hues. Gnarled but majestic larches span out across the sunny south facing slopes. 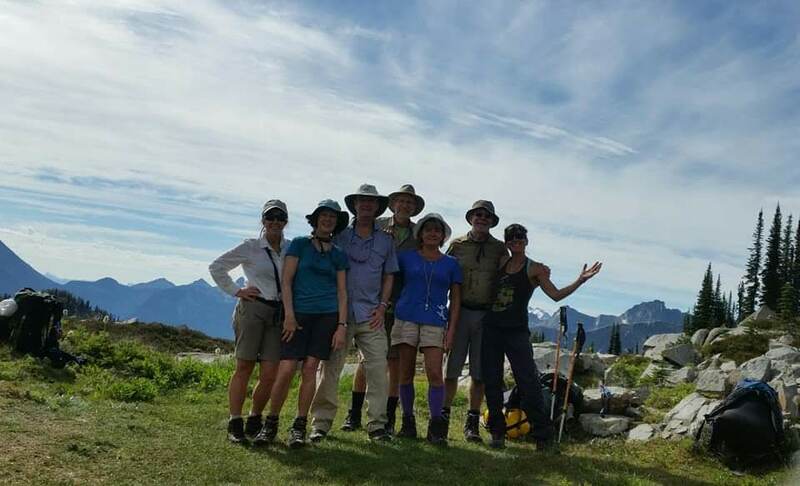 Peaks raise to the east and west with stunning views of the Kokanee glacier to the south. Streamside strolling for a couple hundred feet gets me with sight of the lodge. A green tin roof nestled perfectly within this paradise. Upon entering this rustic lodge I discover it is large and cozy, sleeping twelve with a living room, full kitchen and inside toilet. The next few days are spent exploring this magical landscape. Mount Carlyle can be reached within two hours by traversing this unique larch and wildflower meadow. Streams carve their way down in all directions, disappearing under the earth to bubble out in waterfalls further down. Misty Peak towers to the west of the lodge and makes for an interesting jaunt up the south ridge to boulder hop to the top. From the peak the views of the Valhalla and Purcell mountain ranges are stunning. For the more adventurous and energised there are longer day trips to surrounding lakes and even remote camp caches if you want to spend the night under the stars. Carlyle lodge sits right in the middle of this stunning landscape. Allowing one to have a comfortable base for a group to eat, sleep, cook and relax. Explore the mountains flora and fauna by day, watch the sunrise and set, star gaze from the sauna deck and find your soul totally at ease.